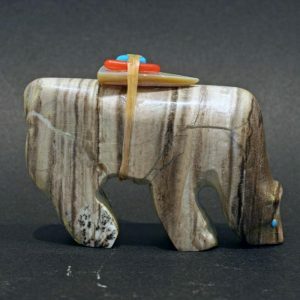 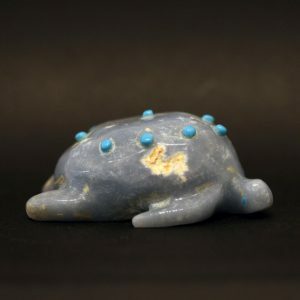 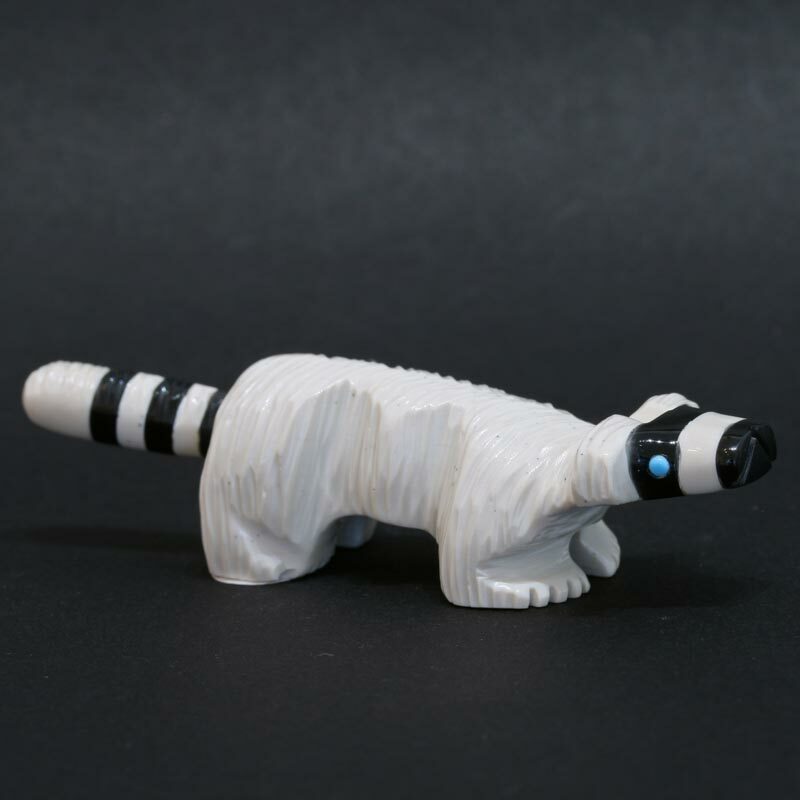 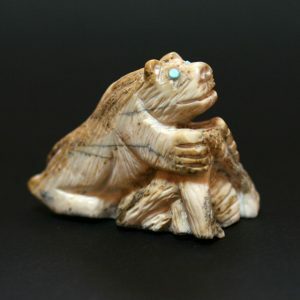 This cool racoon fetish is hand carved from fish rock serpentine and black jet by Suzette Lementino. 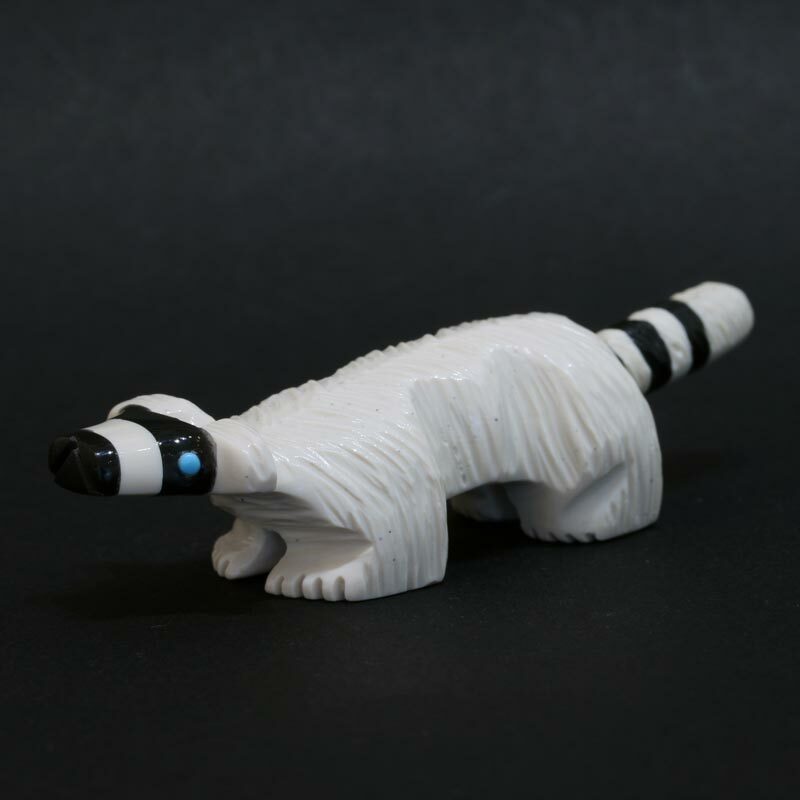 Racoon is believed to be a shy but resourceful creature. This racoon fetish measures 6.5cm from nose to tail.